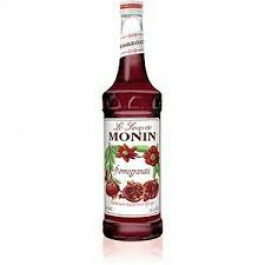 Monin Pomegranate Syrup is a one of a kind ingredient for specialty cocktails, mocktails, teas and sodas. The seeds from this fruit may be small but they yield incredible, robust flavor. Our Pomegranate Syrup promises to add an extra punch to unique margaritas, martinis or cosmopolitans.